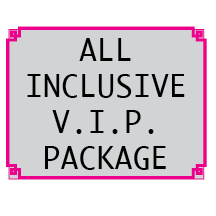 Includes Entry to Festival Friday, Saturday & Sunday, 3 Day VIP Parking Pass, Reserved Seating for all Evening Events. Thursday Night Tattoo, Friday Night Folk Concert, Saturday Night Ceilidh Concert, 2 Drink Tickets, Honored Guest Reception, Special Name tags. THIS PACKAGE WILL BE MAILED DIRECTLY TO YOU FROM THE FESTIVAL OFFICE. $315.00 value cost is $270.00 per person. WEEKEND PASSES - BEST VALUE! Friday Night Folk Concert. $145.00. Saturday Night Ceilidh Rock Concert. $145.00. Includes Friday Tattoo Estes, Entry to Festival Friday, Saturday & Sunday, Saturday Night Ceilidh Rock Concert. $145.00. Includes Saturday Tattoo Estes, Entry to Festival Friday, Saturday & Sunday, Friday Night Folk Concert. $145.00.